On Thursday, former 2016 Republican candidate Rick Perry endorsed Donald Trump. However, he did it so tepidly that calling it an “endorsement” at all feels a bit generous. It was more of a “well, I guess this is what I have to do.” Nevertheless, Rick Perry’s unenthusiastic endorsement of Donald Trump is a sign of things to come, because even if GOP officials do ultimately fall in line behind Trump, they won’t pretend to be happy about it. 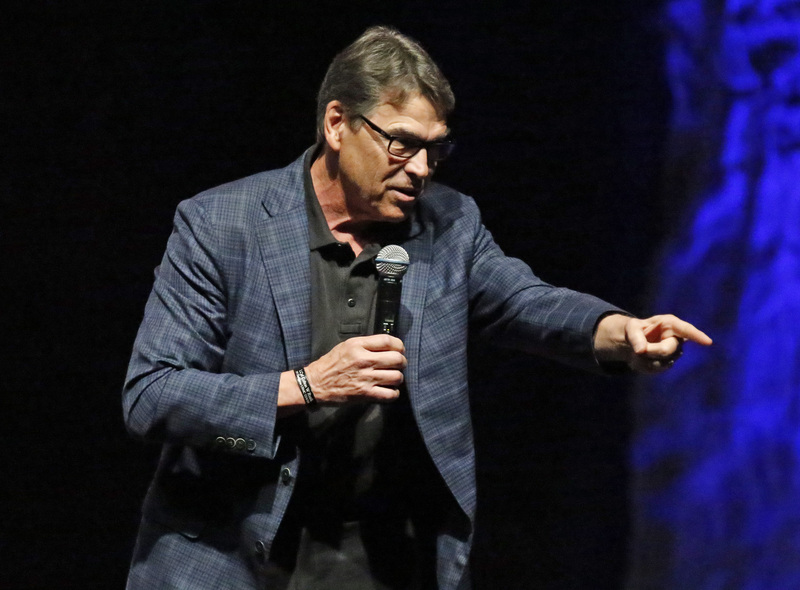 Perry, who had called Trump “a cancer on conservatism” back in July, expressed confidence Thursday that the Donald “will surround himself with capable, experienced people” if elected president. That kind of implies that Trump, himself, is not a capable or experienced person, doesn’t it? We’ve seen this before. Ben Carson, another former 2016 candidate, also endorsed Trump in shockingly reluctant terms, saying that the Donald has “major defects” and that there are “probably” better candidates out there than him. Carson later said that “even if Donald Trump turns out to be not such a great president” — and that’s the kind of comment where you really don’t need to hear the end of the sentence, because the first half is damning enough. It wasn’t just Carson. After Trump won the Indiana primary, Senate Majority Leader Mitch McConnell offered what sounded more like a statement of objective fact than an endorsement. It was easy for Republicans to bash Trump over the summer, when the prospect of him winning the party’s nomination seemed infinitesimal. But now that he’s actually the presumptive nominee, those same Republicans have to make an unfortunate choice. They can either support Trump and come off as rank hypocrites; this is the path Perry, Carson, and Chris Christie have taken. Alternatively, they can oppose their own party’s standard-bearer in an election year and potentially be blamed by their fellow Republicans if Democrats take the White House. It remains to be seen whether the bulk of Republican officials will ultimately get behind Trump, but those who do won't be singing his praises. If the GOP does resign itself to Trump, it will do so reluctantly, and Perry won’t be the last Republican to give Trump to give an endorsement that doubles as a backhanded compliment.